Search for some words you know spoken and find out which episode(s) they come from. South Park Do Spoof of Star Trek Episode. 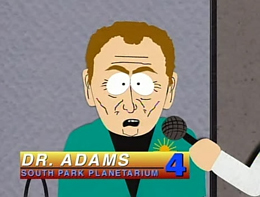 South Park did a spoof episode of Star Trek's: Dagger Of The Mind, called "Roger Ebert Should Lay Off the Fatty Foods".